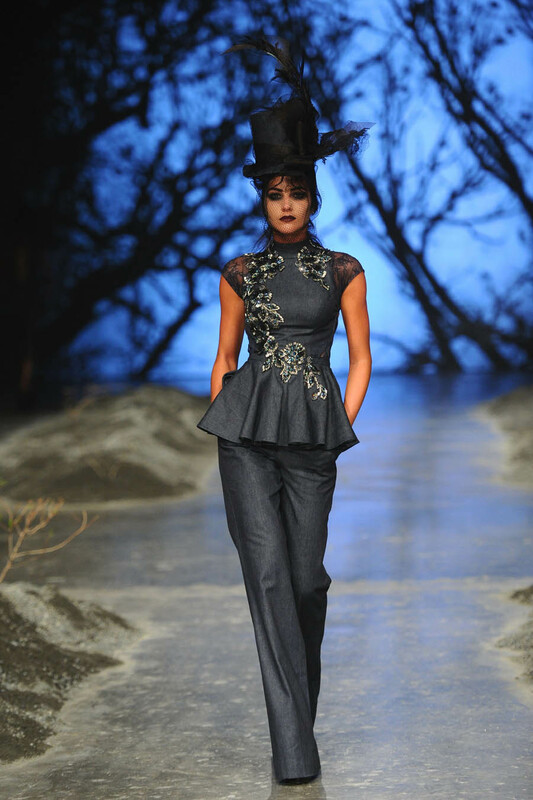 Launched in 2002 in the UAE, Amato (Beloved in Italian) is the brainchild of the much-awarded creative designer Furne One, who partnered with textile expert Rashid Ali, to build this avant garde label. From the very first collection Amato touched a chord with the region’s fashion elite. Inviting UAE’s beautiful women to a style renaissance, Amato broke the glass ceiling through a symphony of style and creativity. 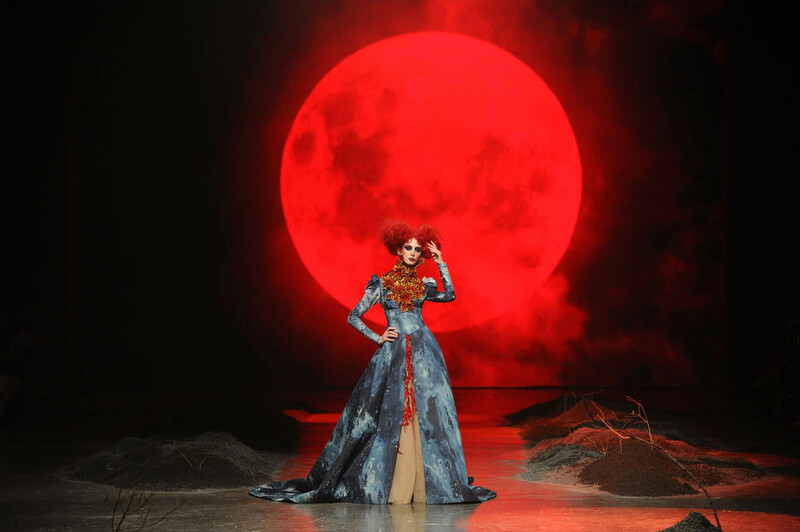 Words like ‘inspiring, intriguing, innovative’ are compliments showered by Amato’s discerning clientele on Creative Director Furne One every time he creates bespoke ensembles. Inspired by the evolution of UAE, the label was built simultaneously on similar founding principles- creative culture, eco-friendly ethics and fair policies. Reviving and rejuvenating local talents, working and training the region’s multi-cultural artisans, Amato’s signature collections are seen as timeless modern classics that are collector’s items. 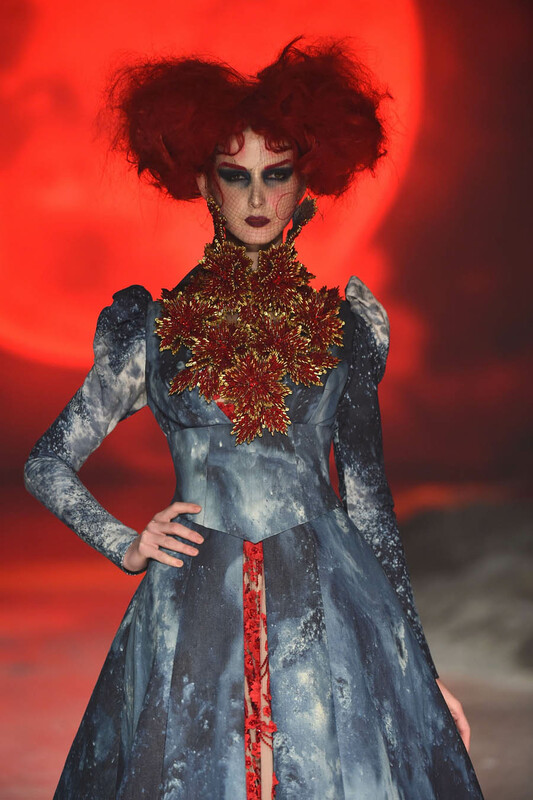 “Meshing cultures, using the region’s rare arts, layering it with eastern and western elements, I create unique pieces for my urbane and globalized clients, reflecting their personal and cultural identities,” Furne says. 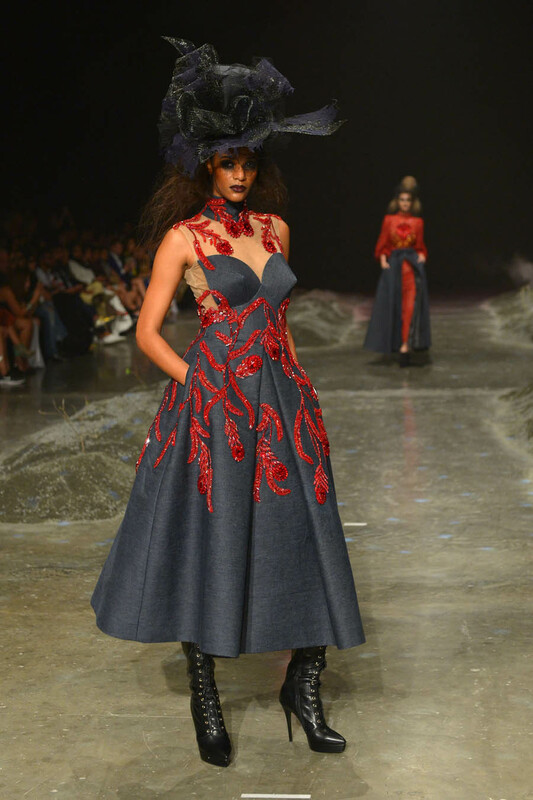 With an inherent passion for couture, Furne fearlessly shows out-of-the-box, unconventional yet outstandingly chic collections. 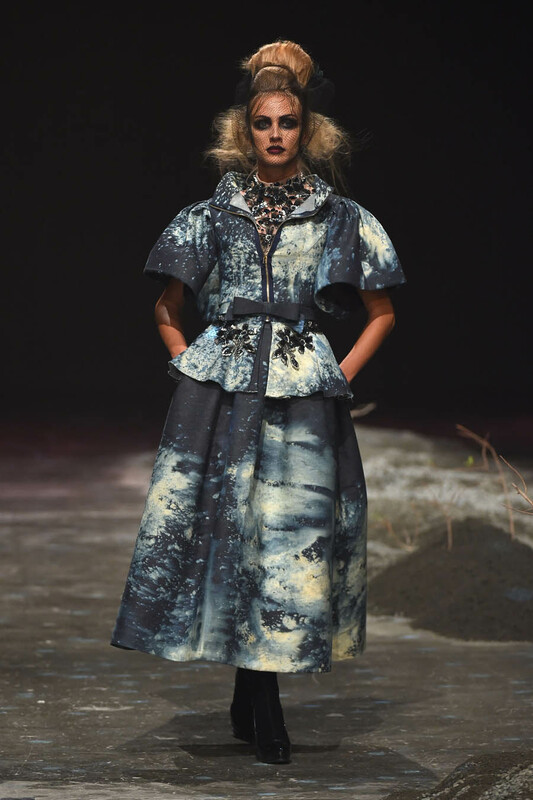 Not a trend follower, he uses his fabric as a canvas for creating art that has the functionality of fashion. 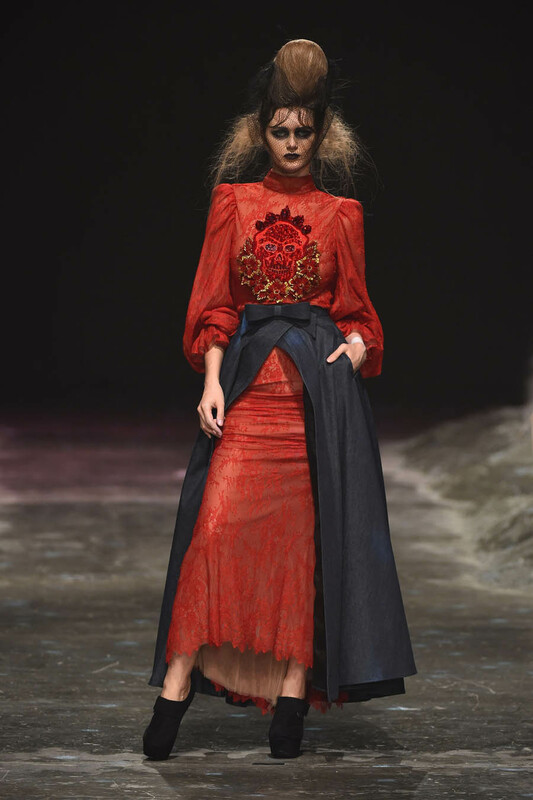 From his first collection “Unveiled Soul 2004” until the “Last Confessions of Matahari 2012”, every ensemble is a tribute to the silent strength of women. “My creativity is inspired by my mother and grandmother’s quintessential style that coloured my vision. I have always tried to create exquisite and ethereal design tempered with a silent touch of strength. My collections aren’t for the faint hearted woman, but one who is comfortable in her skin; her ensembles are but a foil to reflect her inner persona.” Amato started as a dream between two creative entrepreneurs, based on a few core values – cutting edge creativity, design as art-form, commitment to reflect community commitment, to revive rare embellishments ethically, using the principles of fair trade. Today Amato employs a team of 47 and works with almost 86 industry experts and has grown organically. In keeping with couture traditions, Amato textures its own fabrics, fashioning lavish materials, detained with rare embellishment techniques. Using signature cuts, Amato has a visual directory that goes from romantic Shakespearean tales of a different era to the sensual styling of Mata Hari meeting modern Hoochi Mama – their creative team seeks to push style’s envelope. 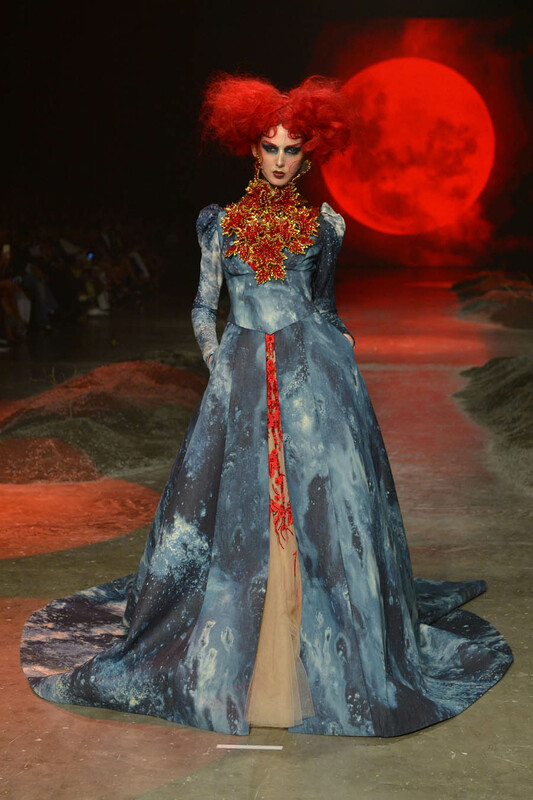 “We want to create a visual and sensory experience for our clientele,” Rashid and Furne explain. Reflecting this aspect of the label, it consistently pushes parameters, evolving from being a Dubai label into a global one. 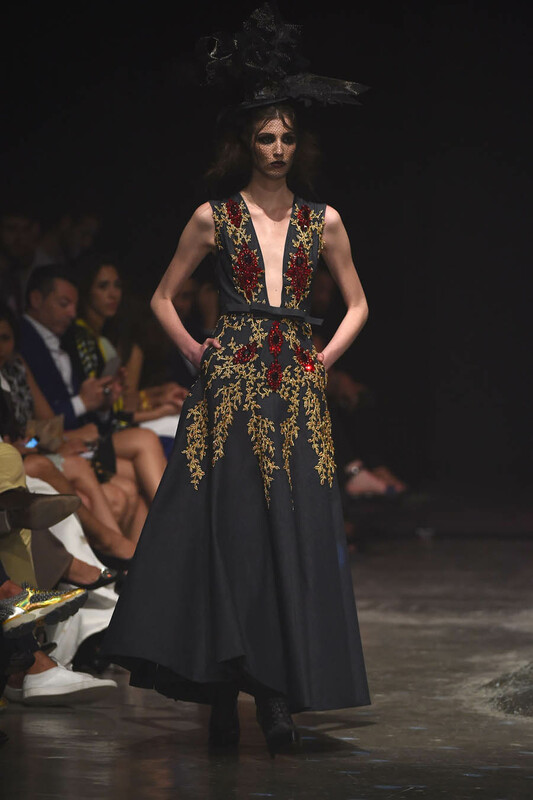 Working the fashion week circuit in Los Angeles, Dubai, London, Miami, Amato has been winning accolades for every showing. 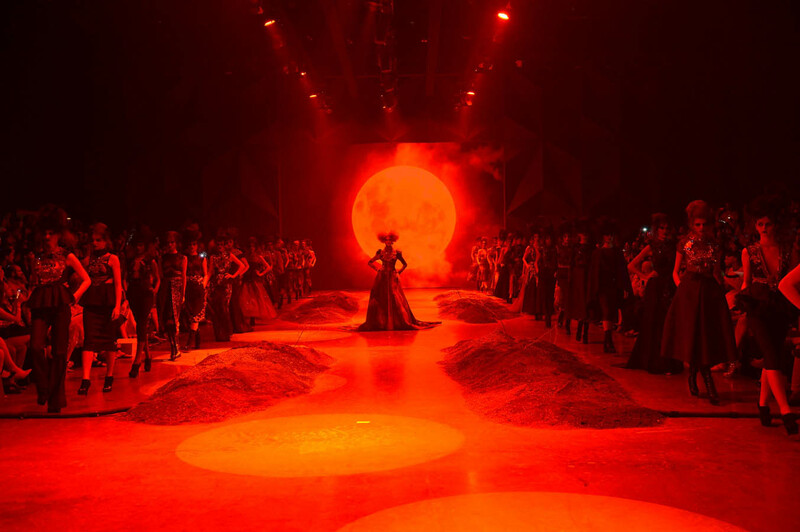 Amato is UAE’s first global designer brand that has earned itself an international cult following – from royalty to international celebrities – super-model Heidi Klum, singing sensations Lady Gaga, Katy Perry, Jennifer Lopez, Nicki Minaj, Shakira, Nicole Scherzinger, Carrie Underwood and Amber Rose all are loyal patrons of this label. 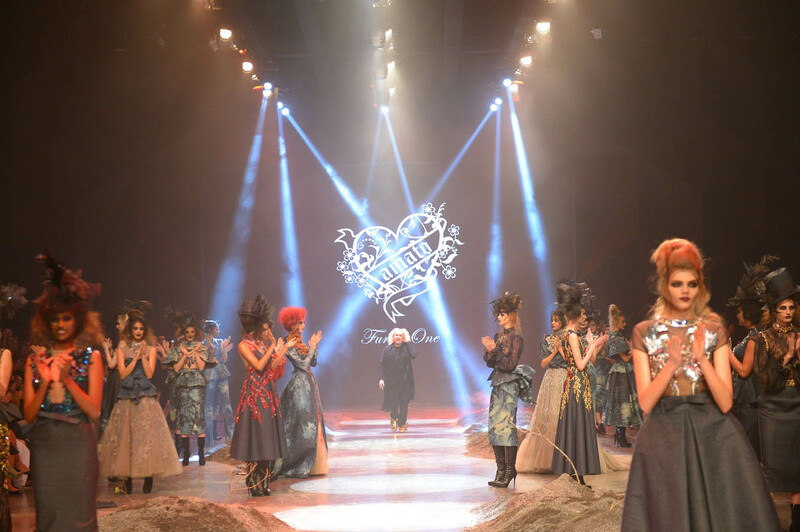 Celebrated for his natural ability to craft extravagant and artistic designs, Furne One, the Dubai-based designer of Amato, is renowned for his creativity and natural panache to transcend everyday trends into classic works of art. From ethereal bridal wear to playful prêt-a-porter, Amato collections are all about celebrating the real woman – expressive, opinionated, and quirky, with soaring self-respect and the confidence to revel in the power of her femininity. 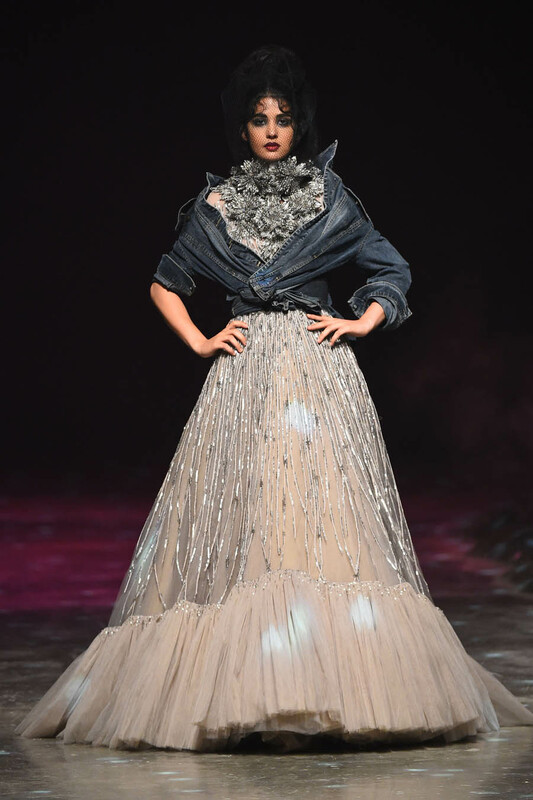 Amato Haute Couture’s signature flair, using an enchanting mix of rich textures and lavish materials with a heavy emphasis on luxurious detailing and embellishment, reflects elegance, aesthetics and energy in equal measure. 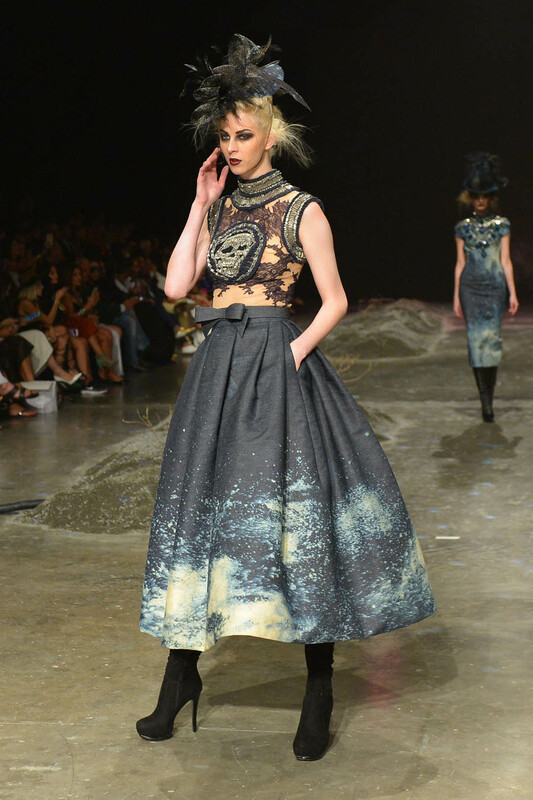 Inspirations range from romantic Shakespearean tales and vintage postcards to the vibrancy of new-age cities and the dramatics of a corpse bride. Fashion Forward (FFWD) aims to be the definitive fashion platform for the Middle East – a fashion movement that highlights strengths, inspires and nurtures industry growth and its wealth of talent, with the ultimate goal of driving forward the entire fashion industry in the region. 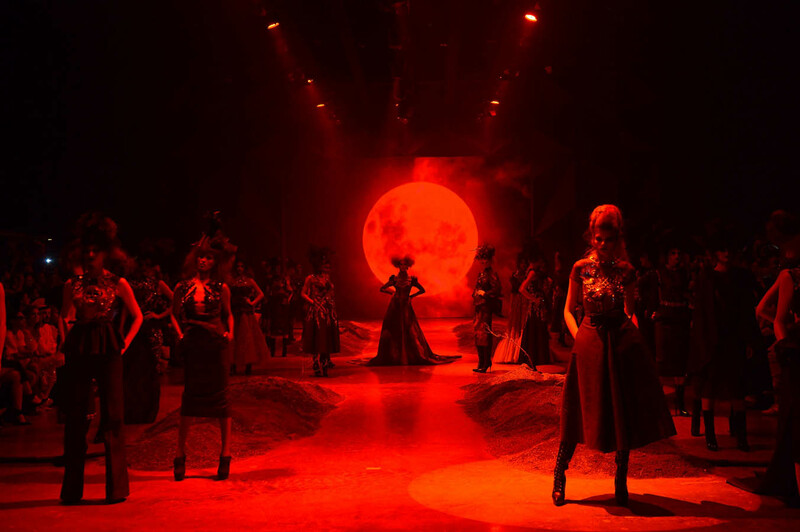 FFWD includes numerous catwalk presentations from top regional designers, inspiring talks and panel discussions led by global industry experts and fashion academia, as well as entertainment, through a string of social events and parties. Previous Post Dubai: Piemonte Cuisine At Eataly!